“Hi … We don’t know the crew from Smallfoot; why do you ask?” Susan a.k.a. Mr. Link (center, voiced by Zach Galifanakis) introduces himself along with his newfound friends Lionel Frost (left, voiced by Hugh Jackman) and Adelina Fortnight (right, voiced by Zoe Saldana) in a scene from Annapurna Pictures’ animated adventure MISSING LINK. Credit: © 2019 Laika Studios/Annapurna Pictures. All rights reserved. THE BACK STORY: Sir Lionel Frost (voiced by Hugh Jackman) is an adventurer and explorer constantly in search of mythical creatures like the Loch Ness Monster … Even if his fellow explorers don’t see him as one of their contemporaries. That’s why when he gets a letter calling him to Washington state with a tip to find the elusive “missing link,” he couldn’t be more excited, even if Lord Piggot-Duncep (Stephen Fry) – the head of the explorer club to which Lionel wishes he belonged – not only vows he will fail in his quest, but hires the equally villainous Stenk (Timothy Olyphant) to make sure he does. Then again, Lionel is going to have bigger problems once he meets Susan (voiced by Zach Galifianakis), the male – yes male – sasquatch who wants him to take him to the land of Shangri-La where his “cousins,” the yetis, may exist. Now, if Lionel can just get a map from Adelina Fortnight (Zoe Saldana) the widow of his former partner Aldis, he might have a shot at helping Susan and finding the acceptance and legacy he wishes he had. THE REVIEW: A kids movie that isn’t exactly a kids movie given the brief moments of gunplay, the jokes which definitely skew a bit more towards teenagers and adults than younger children, Missing Link is a familiar yet solid film families of all ages will enjoy as it hits all the necessary notes well enough to make each age group smile. While Galifianakis’ brings a nice, innocent charm to this happy-go-lucky sasquatch, the film really leans more heavily on Jackman’s character to drive its story forward, both in terms of the action and each characters’ arc. Starting off as a purely pompous, self-indulgent man who thinks he is better than he is, only to evolve into what you would expect him to become by the story’s rather intense ending. Emma Thompson adds a nice injection of dark humor to her role as the Yeti queen, bringing out the film’s best original comedic moments. Throw in some animation reminiscent of Aardman favorites Wallace & Gromit rather than Laika Studios’ most recent release Kubo & the Two Strings and Missing Link is visually pleasing to watch as well. 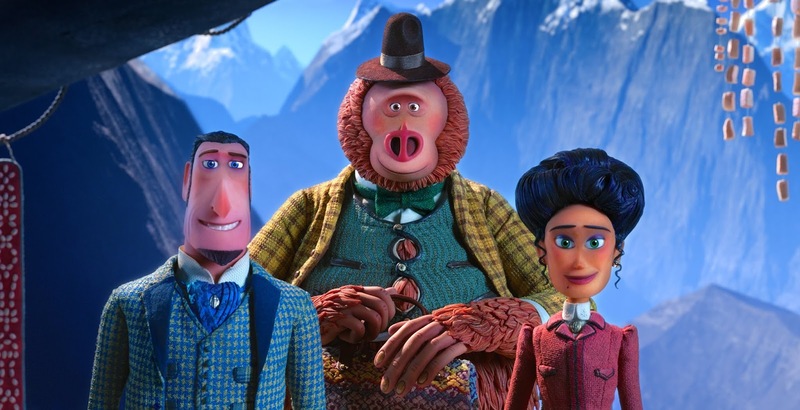 And that’s the good and the bad of Missing Link – the film doesn’t necessarily do anything wrong, but it also doesn’t do ANYTHING that you don’t expect or haven’t seen before. A tight 95 minutes in length, Missing Link hits all the beats (characters meet, adventure begins, evil characters come into play and our heroes come together to face their challenge). But the film lacks anything about it that feels special to make it seem, well, exceptionally memorable. Short and sweet, the film is tight and concise but feels more like the matinee to a second feature (or, at the very least, a more dynamic one of a double bill). To use an example I’m sure I’ve written before, Missing Link is like going to your favorite chain restaurant and ordering your usual meal. Maybe there’s a newer version of it for a limited time only – this one’s got ghost pepper cheese! – but it’s still a safe choice as you know what you’re getting with no surprises. For a film about a missing link, though, you’d hope the only thing missing wouldn’t be something that felt so familiar. 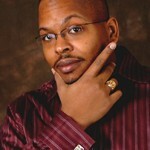 Columnist - Tabari McCoy is Cincy Chic's movie critic. An award-winning stand-up comedian who also works as the public relations director at Cincinnati Museum Center, Tabari McCoy is the creator of McCoy on Movies, a blog about movies for film fans. The blog is written by someone who also likes movies that is smart enough to know his opinion isn't always the right one but is willing to express that opinion in public. McCoy also used to review movies for his college paper and a major metropolitan publication, so that helps add to his "street cred." Contact him at tmccoy@cincychic.com. You can also check out more of his work on his blog at McCoyonMovies.BlogSpot.com and follow him on Twitter at @tabarimccoy.